This was my first time printmaking. 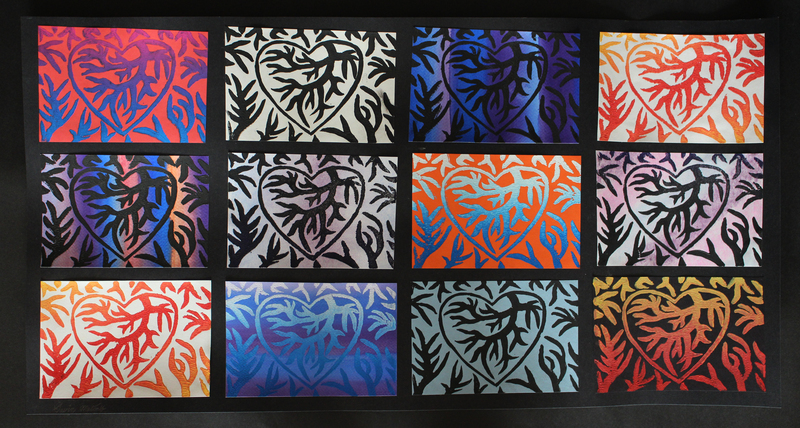 Looking at my piece right-side-up, my project looks like hearts, but upside-down it looks like a tree. I thought that was cool.